SUPPORT NAPASHAKES AND CLAIM YOUR SPECIAL GIFT! 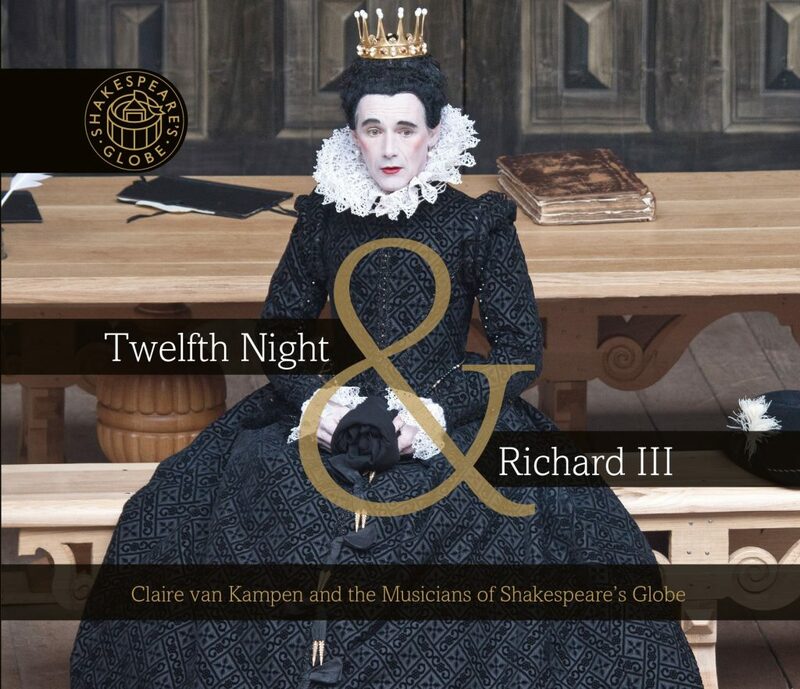 a handsomely-produced boxed CD featuring two dozen short masterworks featured in “Twelfth Night” & “Richard III,” arranged by Claire van Kampen (“Wolf Hall”) and performed on a wide variety of period instruments by the brilliant Musicians of Shakespeare’s Globe Theatre. Recorded live onstage and remastered; Exclusive to the Globe. A $22 value. FOR FAME, GLORY & THE CAMARADERIE OF OUR MERRY BAND – PLUS THE FREE CD – JOIN OUR BAND OF FUNDERS! Every Theatrical Production Needs Its Star! Make An Individual Donation Today! Please consider investing in the future of world-class theater in the Napa Valley by supporting our programs with a financial contribution. Join our Band of Funders, make a contribution, or encourage your business or employer to become a Sponsor. 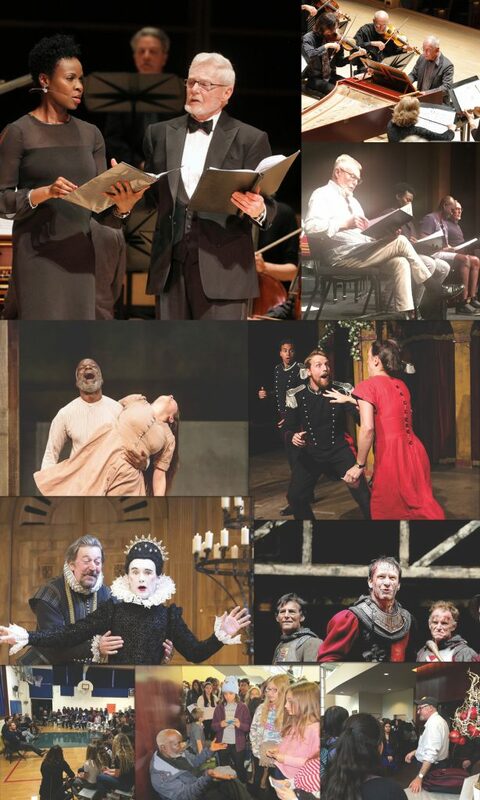 We need your help to continue the momentum of our first year, and we look forward to enjoying more amazing Shakespeare together! Our Band of Funders members contribute $500 per year, and receive advance notice of ticket sales, private invitations and other perks. Learn more here! 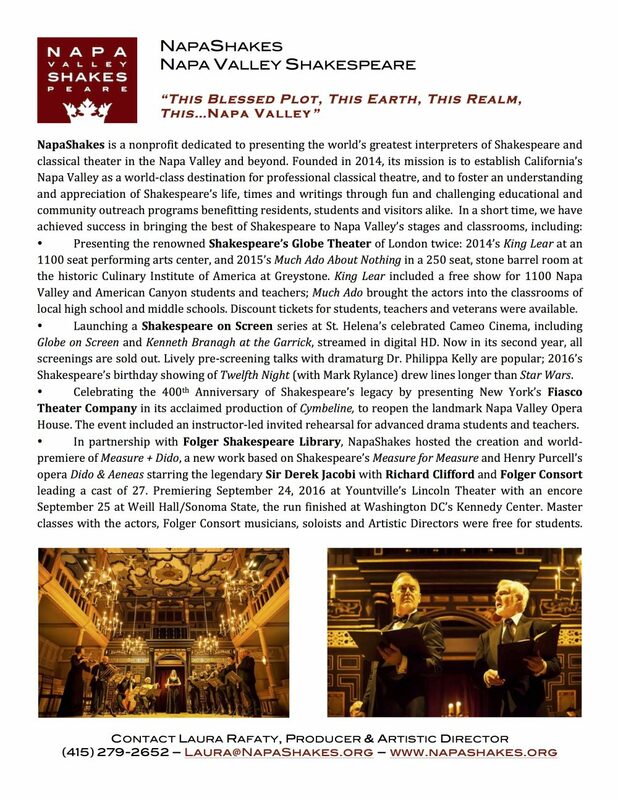 NapaShakes ~ Napa Valley Shakespeare is a nonprofit 501c3 tax-exempt organization ~ tax id #47-2173054. We can create a package of sponsorship and a donor relationships that meets your unique goals and requirements.